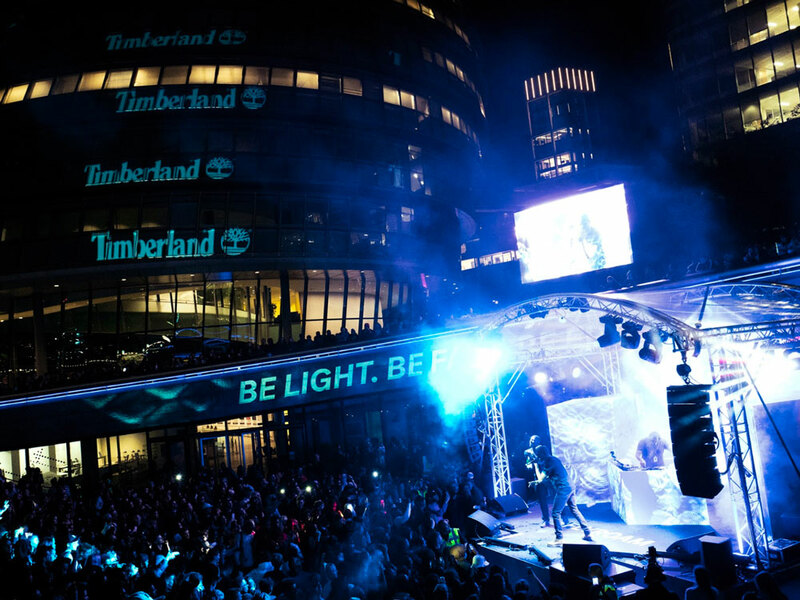 About: Timberland put on an event to remember for the release of their new trainer. 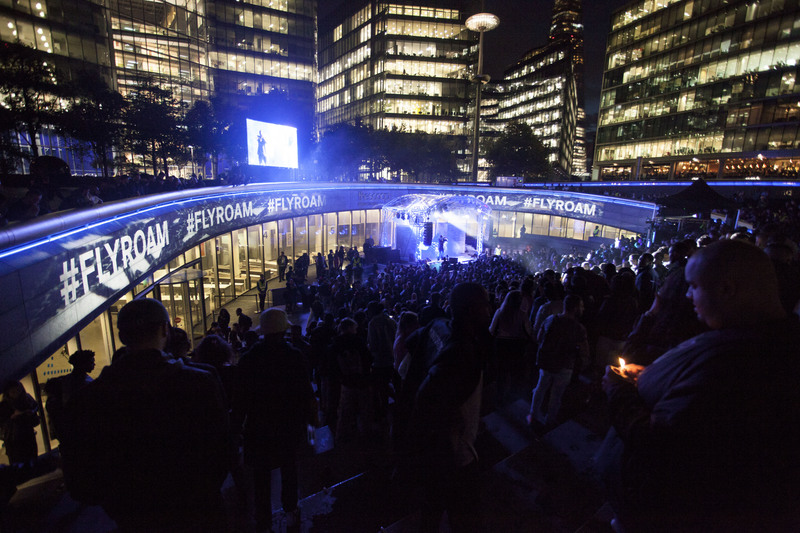 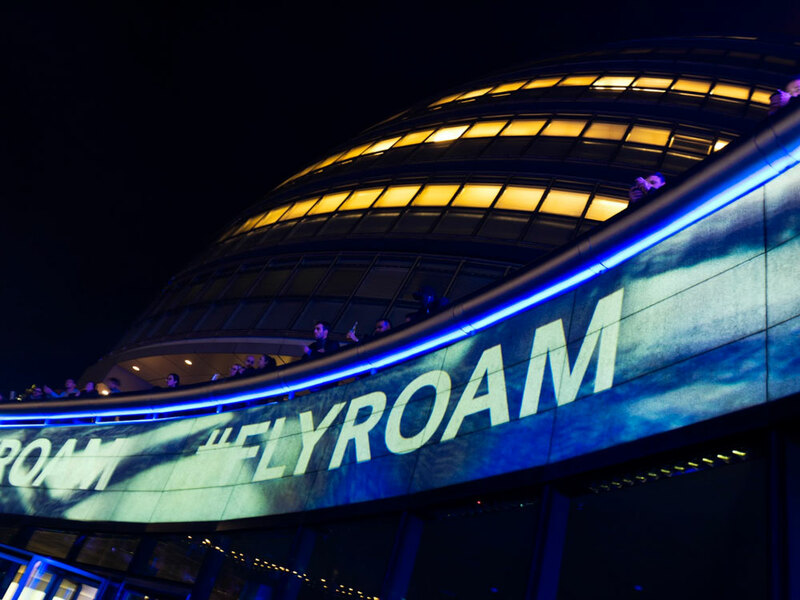 The Flyroam was launched in The Scoop, a modern-day amphitheatre. 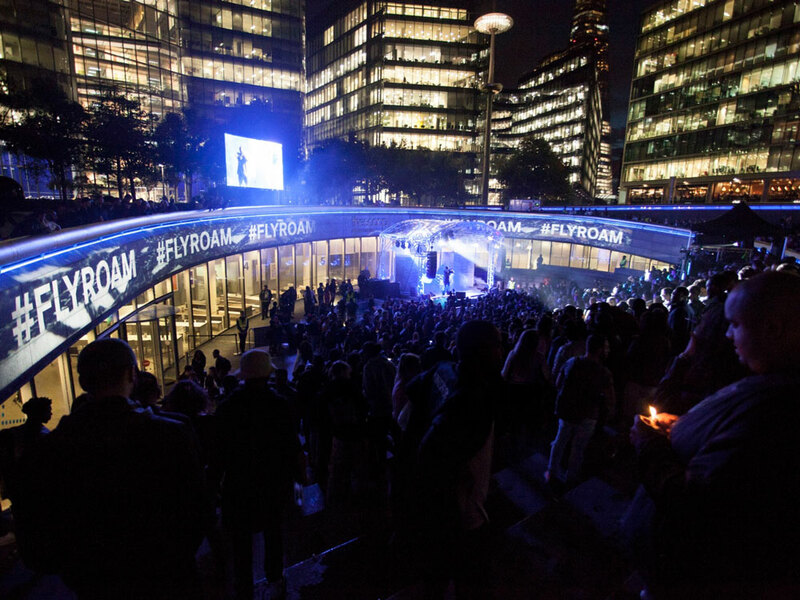 We projection-mapped the entire lip of the scoop and the DJ booths during the two main performances, enveloping the crowd in branded content. 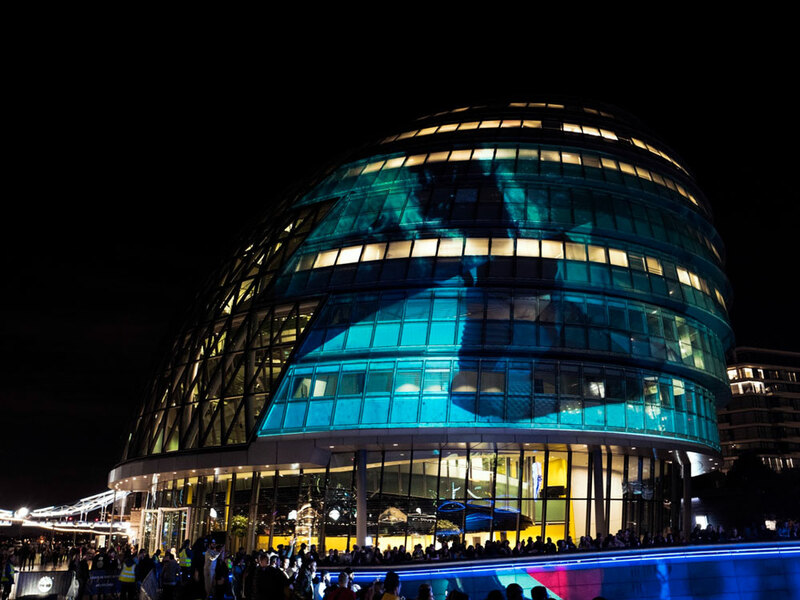 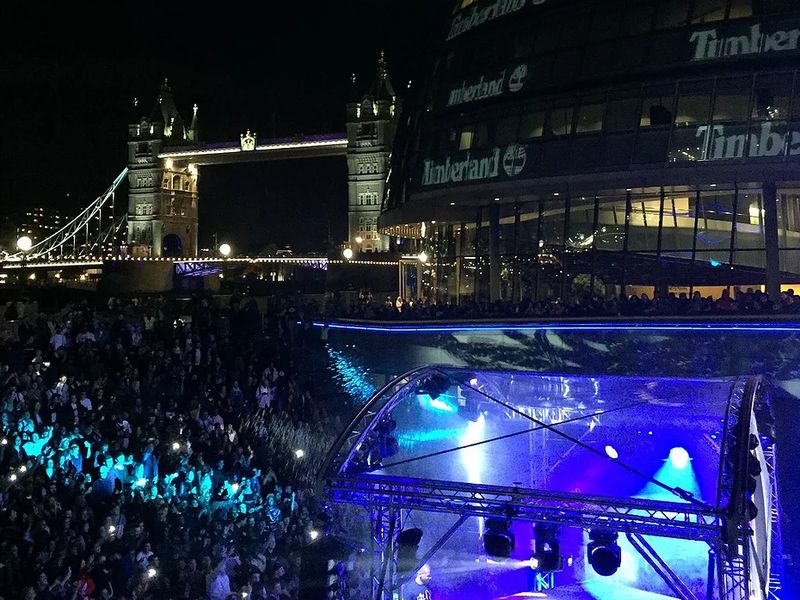 For the finale, we lit up City Hall with the Timberland logos so the client’s name shone across the river. 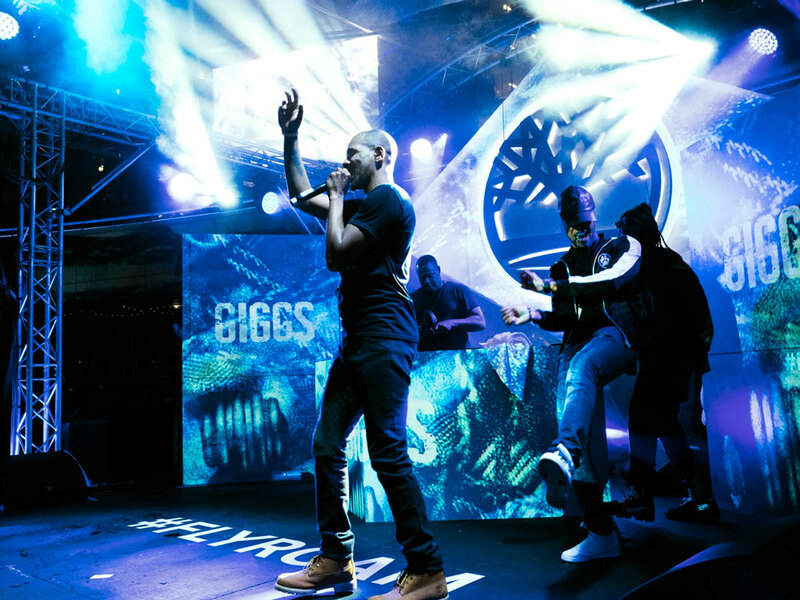 We created everything in-house by working closely with the client to produce photorealistic 3D visuals from the individual elements of the shoe.